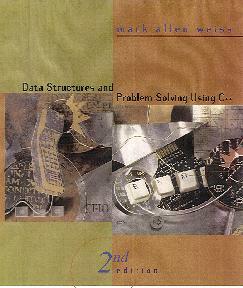 Mark Allen Weiss is an Eminent Scholar Chaired Professor of Computer Science and Associate Dean for Undergraduate Education in the College of Engineering and Computing at Florida International University in Miami Florida. 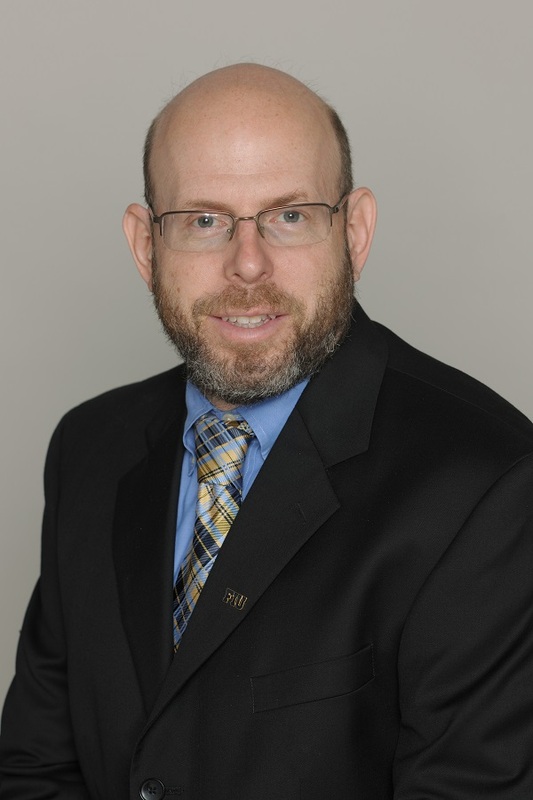 He also serves as Interim Founding Director of the School of Universal Computing, Construction, and Engineering EDucation (SUCCEED) having previously served for nine years as Associate Director of the School of Computing and Information Sciences. He received his Bachelor's Degree in Electrical Engineering from The Cooper Union in 1983, and his Ph.D. in Computer Science from Princeton University in 1987, working under Bob Sedgewick. He has been at FIU since 1987, and was promoted to Professor in 1996. 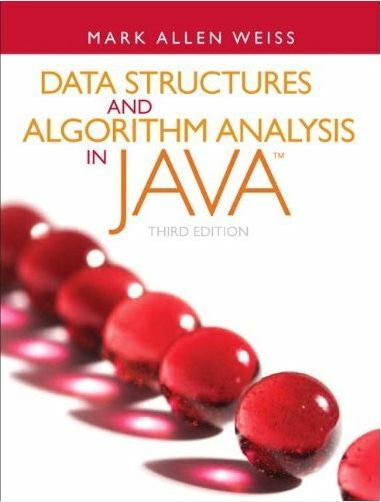 His interests include data structures, algorithms, and education, and he is most well-known for his highly-acclaimed Data Structures textbooks, which have been used at hundreds of universities worldwide. From 1997-2004 he served as a member of the Advanced Placement Computer Science Development Committee, chairing the committee from 2000-2004. Dr. Weiss is an IEEE Fellow, AAAS Fellow, and ACM Distinguished Educator. He is the recipient of the 2015 SIGCSE Award for Outstanding Contribution to Computer Science Education, 2017 IEEE Computer Society Taylor Booth Education Award, and 2018 IEEE Education Society William Sayle Achievement in Education Award. Information on each of the books is below. I've included the most recent errata, source code, and a link to the publisher's home page. 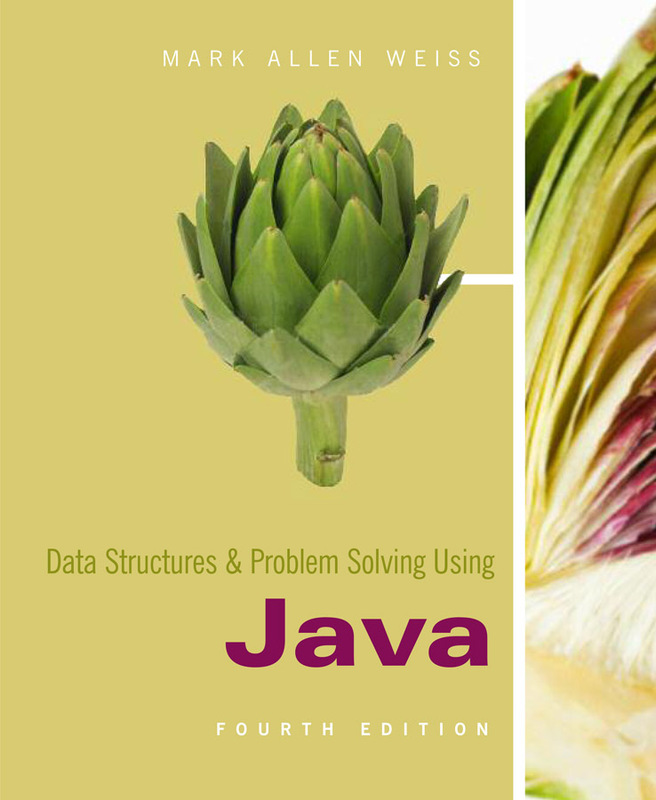 Solutions Manual and/or Instructors Resource Manual are available from Addison-Wesley for the Data Structures books to course instructors only. Contact your sales rep, or call Addison-Wesley. This is the only way to get solutions. I do not have any copies of solutions manuals. As a matter of policy, I cannot provide answers to questions in the text, because it is impossible for me to determine if I would be doing somebody's homework. Thus, I must decline to answer the growing number of emails that request such assistance. 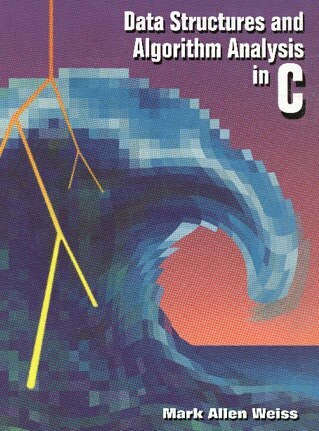 Don't want C++11? Source code from Third Edition. Source code. 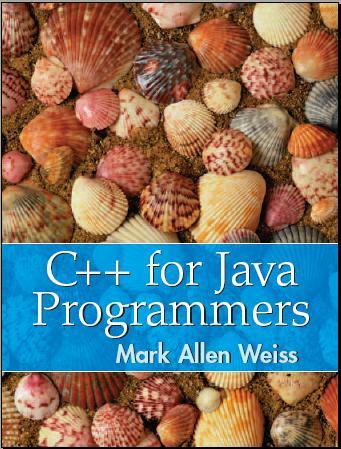 Requires a Java 5 or higher compiler. Source code from third edition. 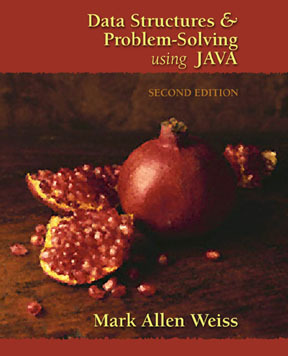 Source code from second edition. Source code available from publisher's home page (see next item) or by anonymous ftp. Source code. Requires this program to extract individual files. Individual files. Served as member and Chairperson of the Advanced Placement Computer Science Test Development Committee. Served as a member of the Ad-Hoc Committee on the Future of the Advanced Placement Computer Science Examination. Served as a member of the Ad-Hoc Committee that advised the College Board on how to incorporate C++ into the Advanced Placement Exam. (This committee did not recommend the switch from Pascal to C++). 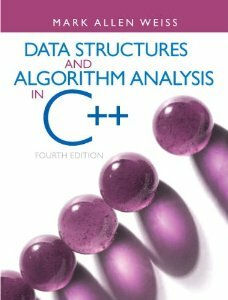 Examiner for the Educational Testing Service: I have written questions for the Computer Science GRE Examination. Member of the following organizations: AAAS, ACM, IEEE, Eta Kappa Nu, Tau Beta Pi. Here are some of my publications. Recent vita. M. A. Weiss and R. Sedgewick, ``Bad Cases for Shaker Sort,'' Information Processing Letters 28 (1988), 133-136. M. A. Weiss and R. Sedgewick, ``Tight Lower Bounds for Shellsort,'' Journal of Algorithms 11 (1990), 242-251. M. A. Weiss and R. Sedgewick, ``More On Shellsort Increment Sequences,'' Information Processing Letters 34 (1990), 267-270. M. A. Weiss, ``Empirical Study of the Expected Running Time of Shellsort,'' Computer Journal 34 (1991), 88-91. Y. Ding and M. A. Weiss, ``Best Case Lower Bounds for Heapsort,'' Computing 49 (1992), 1-9. Y. Ding and M. A. Weiss, ``The k-d Heap: An Efficient Multi-dimensional Priority Queue,'' Proceedings of the Third Workshop on Algorithms and Data Structures, Springer-Verlag Lecture Notes #709 (1993), 303-314. M. A. Weiss, ``On Finding the Height of a Binary Search Tree,'' Computer Journal 36 (1993), 280-281. Y. Ding and M. A. Weiss, ``The Relaxed Min-Max Heap: A Mergeable Double-Ended Priority Queue,'' Acta Informatica 30 (1993) 215-231. C. Orji, M. A. Weiss, and J. Solworth, ``Improved Traditional Mirrors,'' Proceedings of the Fourth International Conference of Foundations of Database Organization, Springer-Verlag Lecture Notes #730 (1993), 329-344. Y. Ding and M. A. Weiss, ``On the Complexity of Building an Interval Heap,'' Information Processing Letters 50 (1994), 143-144. W. Sun and M. A. Weiss, ``An Improved Algorithm for Implication Testing Involving Arithmetic Inequalities,'' IEEE Transactions on Knowledge and Data Engineering 6 (1994), 997-1001. S. Guo, W. Sun, and M. A. Weiss, ``On Solving Satisfiability, Implication, and Equivalence Problems Involving Conjunctive Inequalities in Database Systems,'' IEEE Transactions on Knowledge and Data Engineering 8 (1996), 604-616. 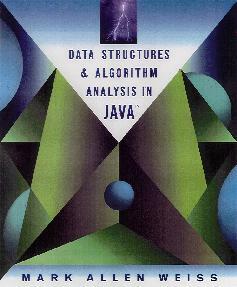 M. A. Weiss, ``Shellsort with a Constant Number of Increments,'' Algorithmica 16 (1996), 649-654. S. Guo, W. Sun, and M. A. Weiss, ``Solving Satisfiability and Implication Problems in Database Systems,'' ACM Transactions on Database Systems 21 (1996), 270-293. 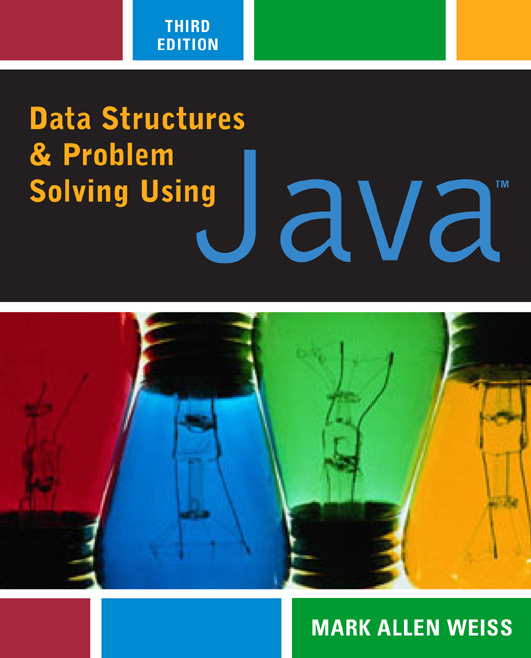 M. A. Weiss, ``Experiences Teaching Data Structures with Java,'' Proceedings of the Twenty-Eighth Annual SIGCSE Technical Symposium (1997), 164-168. 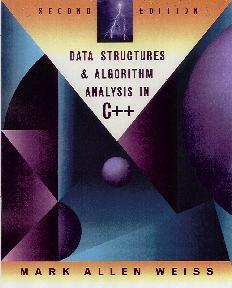 O. Astrachan, G. Chapman, S. Rodger, and M. A. Weiss, ``The Reasoning for The Advanced Placement C++ Subset,'' SIGCSE Bulletin 29 (1997). S. Chen, X. Wang, N. Rishe, and M. A. Weiss, ``A High-Performance Web-Based System Design for Spatial Data Accesses," Eighth ACM Symposium on Advances in Geographic Information Systems (2000), 33-38. S. Chen, X. Wang, N. Rishe, and M. A. Weiss, ``A Web-Based Spatial Data Access System Using Semantic R-Trees," Information Science: An International Journal, (2004), 41-61.